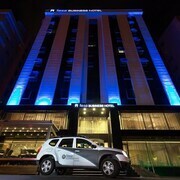 Radisson Blu was excellent at all levels, everything from its cleanliness to its amazing customer service staff. 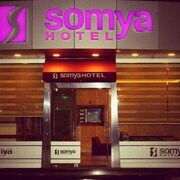 The hotel is very new and everything is clean, so it feels like a home away from home. It’s also closely linked to transport, almost all of the local cabs knew the location without any directions which made it easy. Great Service. Great location near the airport. Very happy to stay here and will stay again. Where to find Gebze hotels near an airport? Where can I find hotels in Gebze that are near tourist attractions? 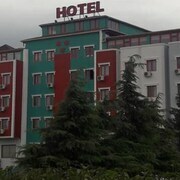 Hotel options are extremely limited in Gebze. You'll find, however, 2 Expedia-listed options within a 20-30 minute drive. 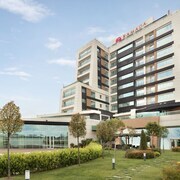 The closest of our hotels is the Crowne Plaza Hotel Istanbul - Asia, Istanbul - Marmara Region, which is located 20 kilometres (13 miles) from the heart of Gebze. 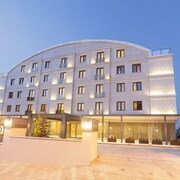 Another close alternative is the Hotel Blanco, located in Southern Marmara, 25 kilometres (15 miles) from the heart of Gebze. The Parla Viens Suites is located 20 kilometres (14 miles) from the heart of Gebze. 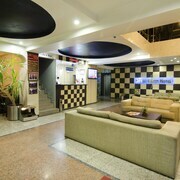 Another option is the ISG Airport Hotel - Special Class, which is positioned 20 kilometres (13 miles) away. 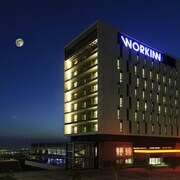 Two other accommodation options include the Holiday Inn Gebze - Istanbul Asia and the Hotel Hegsagone Marine Asia. After you have spent time in Gebze, ensure you allow time investigate Istanbul - Marmara Region's other attractions. Istanbul - Marmara Region is known for coastal plains, rivers and canals, and commonly visited Istanbul - Marmara Region tourist destinations include ruins and old towns. Locals and visitors alike in this region of Turkey can enjoy hiking and cycling. Looking for more things to do? Consider spending a day or two discovering Hagia Sophia and Hippodrome, in Istanbul, 50 kilometres (32 miles) to the west of Gebze. Should you wish to spend a night or two in Istanbul, be sure to check out the Shangri-La Bosphorus, Istanbul and Four Seasons Hotel Istanbul at Sultanahmet. 50 kilometres (30 miles) to the west of Gebze, is Besiktas, which is home to the Four Seasons Hotel Istanbul at the Bosphorus and The Ritz-Carlton, Istanbul. If you're staying in Besiktas, be sure to check out the Yildiz Technical University and Zorlu Center Performing Arts Center. Just because you're far from home, doesn't mean you can't indulge in your passion for all things sport. Turk Telekom Arena is situated 55 kilometres (33 miles) to the northwest of Gebze. Sports fans wanting to sleep nearby can choose from the The Istanbul EDITION- Special Class or the Steigenberger Istanbul Maslak. Sabiha Gokcen International Airport is a nearby airport for flying in and out of Gebze. It is 20 kilometres (13 miles) away. 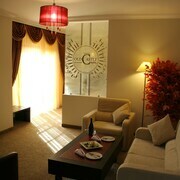 If you plan to stay nearby, try the Divan Istanbul Asia or Ekinci Residence. What are the most popular Gebze hotels? Are there hotels in other cities near Gebze? 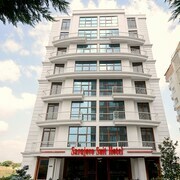 What other types of accommodations are available in Gebze? Explore Gebze with Expedia.ca’s Travel Guides to find the best flights, cars, holiday packages and more!